When the issue under discourse is billionaires across the globe, some names spring to memory more than others. In fact, some names are less peddled around in the mainstream media. 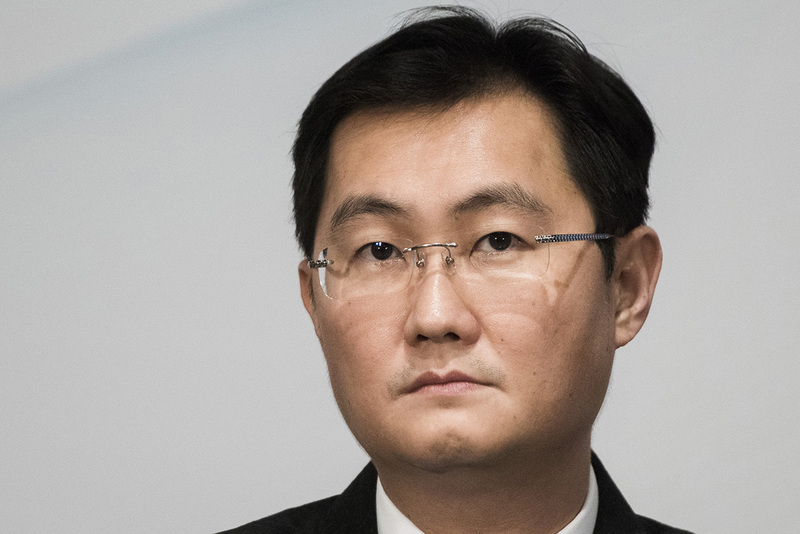 One of those lesser-known billionaires is Tencent Chairman and CEO Ma Huateng. Elusive, introverted, media-shy, words that aptly describes the man many have come to know as Pony Ma (an English translation of his family name, meaning “horse” ). The presence of his conglomerate and its subsidiaries in Chinese life is a direct opposite to its owner. It is literally everywhere. Tencent Holdings Limited is a conglomerate with interests in mobile games, robotics, Artificial intelligence, retail, social network, multiplayer online games, music, web portals, e-commerce, internet services, payment systems, and smartphones. The sheer size of the Chinese market implies that any enterprise the size of Tencent has an already massive potential market ready to patronize its services. This and the less than liberal political climate in China has ensured that the likes of Tencent and its owner by extension will make huge profits. One of the worlds largest messaging apps WeChat is owned by Ma Huateng’s Tencent. Born on October 29, 1971, to Ma Chenshu (a ports manager in Shenzhen) and Huang Huiqing. There is no information about his formative years; however, it is already known that he and his family moved around a lot until they finally settled in Shenzhen when his dad secured a job. Ma Huateng attended the Shenzhen University from where he obtained a Computer Science degree in 1993. He worked briefly with China Motion Telecom Development as a Software developer before setting up Tencent alongside Zhang Zhidong, Zeng Liqing, Xu Chenye, and Chen Yidan in 1998. Ma is Tencent’s Chairman and CEO. Under his leadership, the company has risen to become Asia’s most valuable company with a market value of $500 billion. It is also the worlds largest gaming company. Tencent Music Entertainment, a subsidiary of the parent company boasts of 120 million paying subscribers and more than 700 million active users. Pony is a deeply private man. Easily the most reclusive of all the Tech. billionaires, Ma met his wife Wang Dan-ting via one of the messaging apps (QQ) built by his firm. They chatted for 3 months before eventually setting up a date. Ma rarely gives interviews and has never spoken publicly about his wife or children. Ma is involved in philanthropy and is easily considered China’s most generous billionaire after he gave away 100 million of his shares in Tencent worth an estimated $2 billion. The shares were transferred to the Ma Huateng Global Foundation. He is a member of the National People’s Congress which is basically the Chinese Legislature and seems to have a cordial relationship with the ruling party. Like most top Chinese tech. firms, Ma Huateng has profited from the protection offered by the government’s restrictions of foreign capital to dominate the Chinese smartphone and PC game market. The Chinese government’s ban on websites such as Facebook, Gmail, Google, YouTube, Twitter, Instagram among others has played a major role in the growth of internet service based companies such as Ma Huateng’s Tencent, allowing them no external competition for China’s population of 1.4 billion potential users. Ma Huateng is no doubt China’s richest man and the first Asian to break into the top ten of Forbes wealth list. The top spot in China has oscillated between himself and Alibaba’s Jack Ma. The bulk of Ma Huateng’s fortune is as a result of his 9.7% stake in Tencent. His Tencent shares are held through his holding company Advanced Data Services. Ma has been likened in many respects to the Oracle of Omaha – Warren Buffett. Both men share similar values of personal conservatism and simplicity but seen as aggressive but smart investors. According to Forbes, Ma Huateng has a net worth of $40 billion. Beyond his investment interests in Tencent, Ma has a healthy real estate portfolio that includes choice buildings in Hong Kong and a private residence spanning 19,600 sq. He is also an avid art collector with a collection that is worth a staggering $150 million.